She has a voice like a Cockney docker. It is gravelly, rich and booming, as though she used to be some kind of bullring commentator in a previous life. It cuts though the cafe like a hurricane. She could command army troops. Her body doesn’t look large enough to house the kind of lungs needed for such a voice. 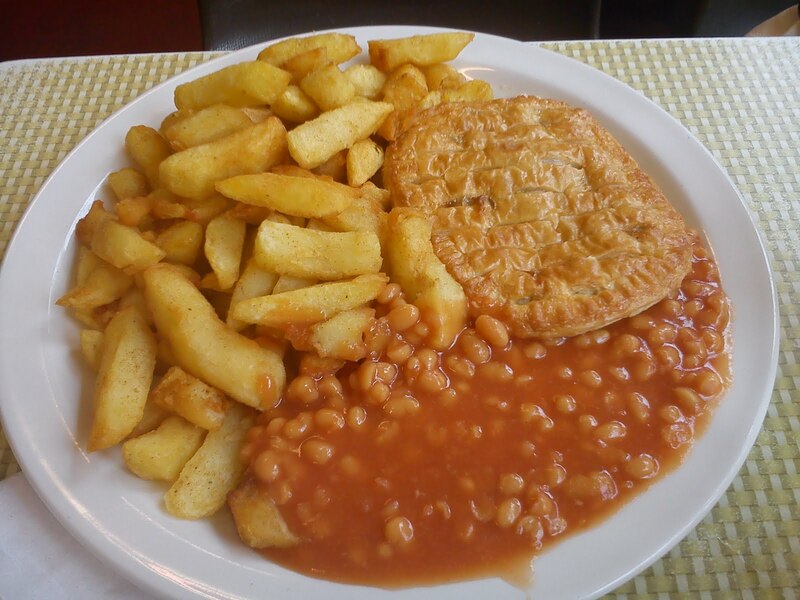 Woe betide you if you somehow manage to miss the name of your dish being called out, as she only shouts it out twice. I think you’d have to be wearing silicone earplugs and have your head stuck in some kind of vacuumed astronaut helmet to succeed. 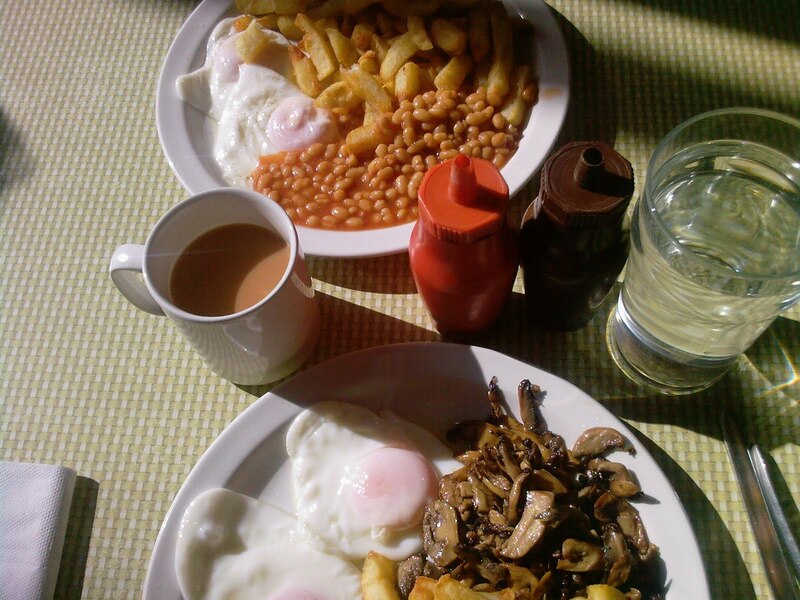 The food is good, old-fashioned British greasy spoon fare, but done rather well. 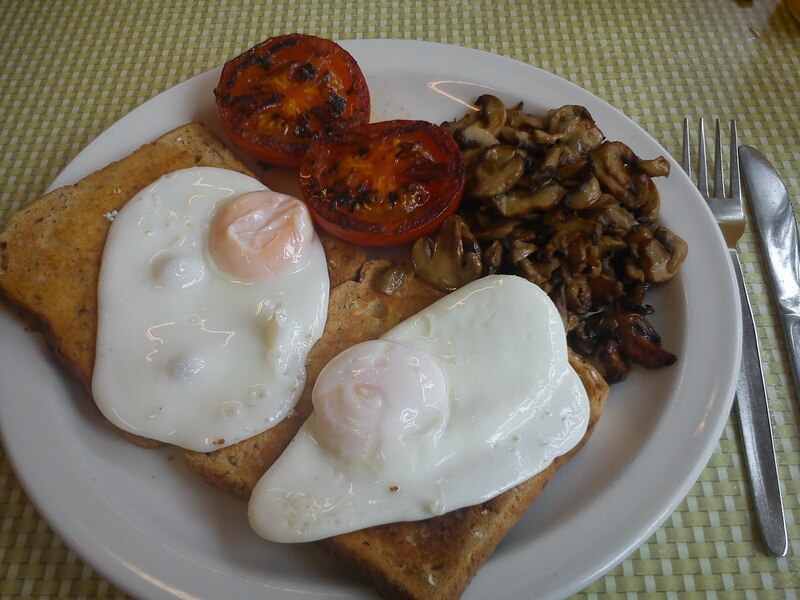 You can have the usual range of fry-ups, fish ‘n chips, pies, pasta dishes and even salads. 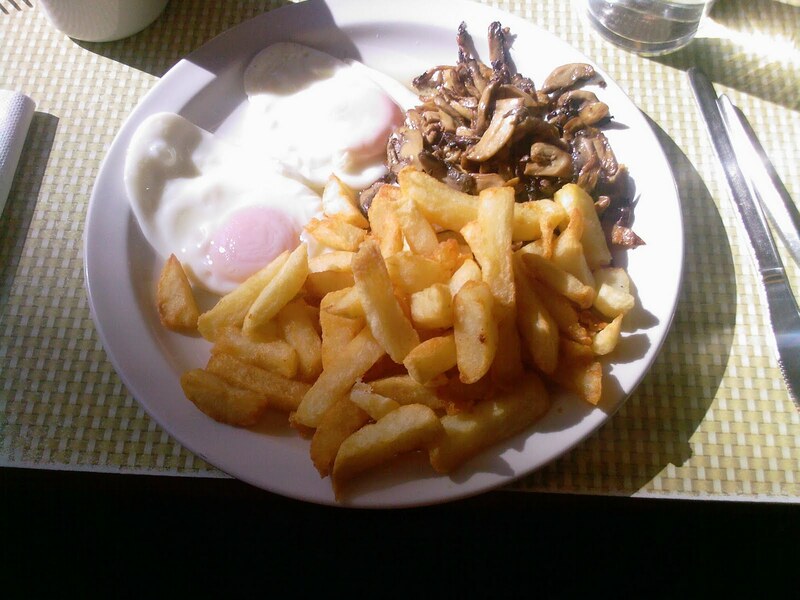 The portions are really generous. I don’t really see the point of coming here for a salad, though. Why would you? I think people come not only for the unpretentious good food, but for the amazing decor. The cafe is built into the base of a block of a 1930s block of mansion flats and its exterior is decorated with old black Deco tiles. Inside you can lap up the wonderful retro atmosphere. 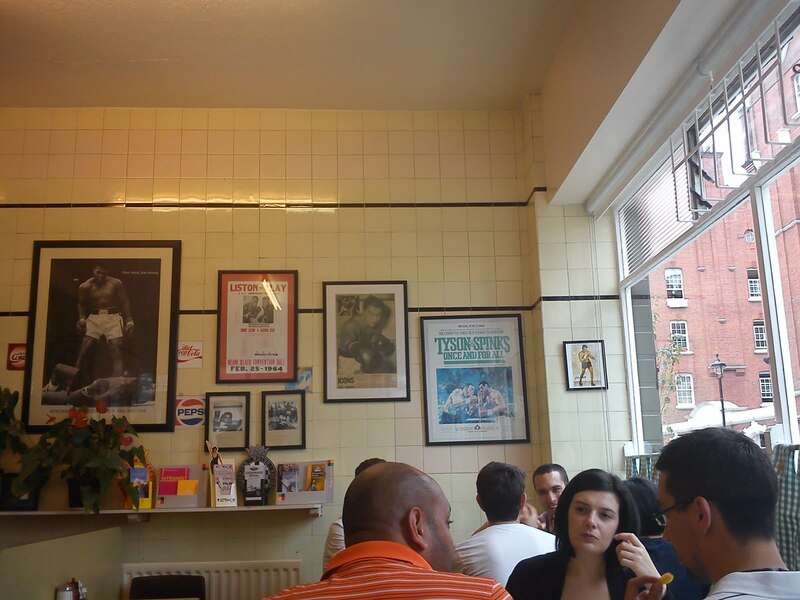 There are gingham curtains and the white tiled walls have black and white portraits and old posters of boxing legends. 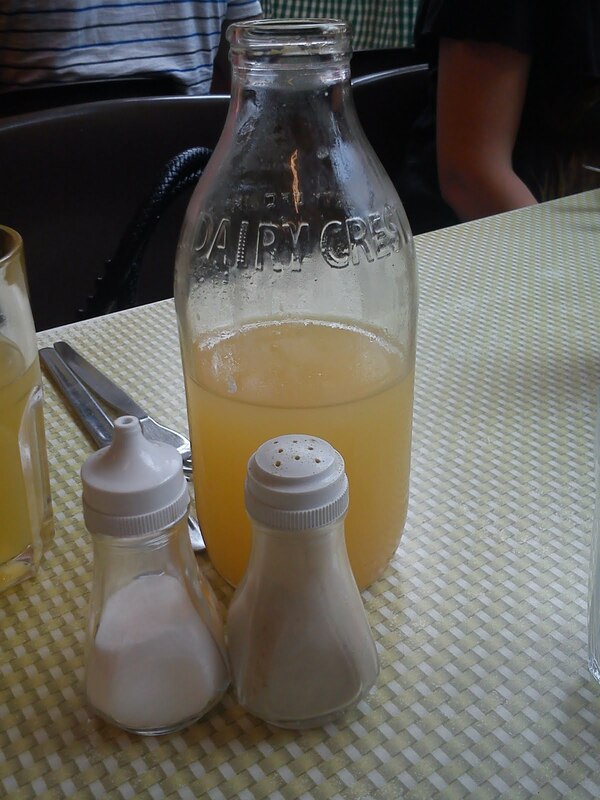 Inside the booths, you sit at green formica tables; the salt cellars and vinegar bottles are all of the old-school. 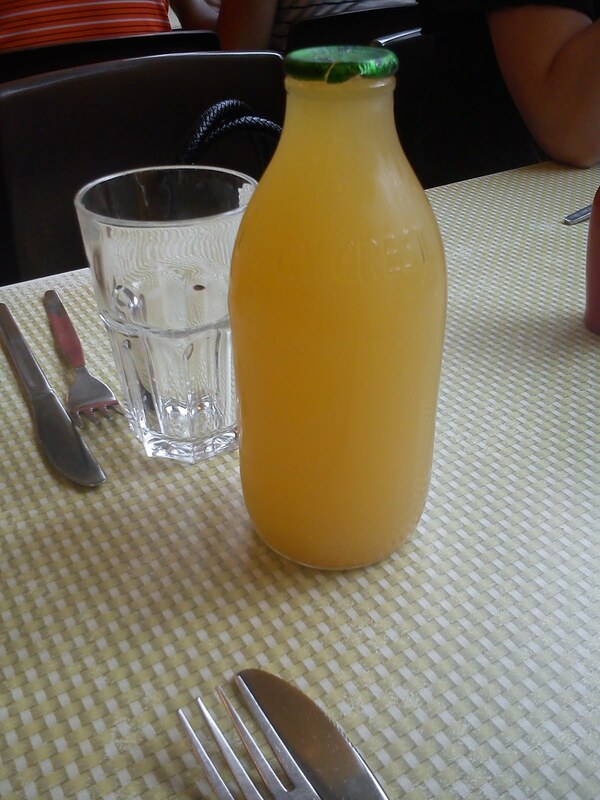 You can even order a glass milk pint bottle of cloudy apple juice to have instead of the industrial-strength tea. The danish pastries look a bit over-frosted and formidable. 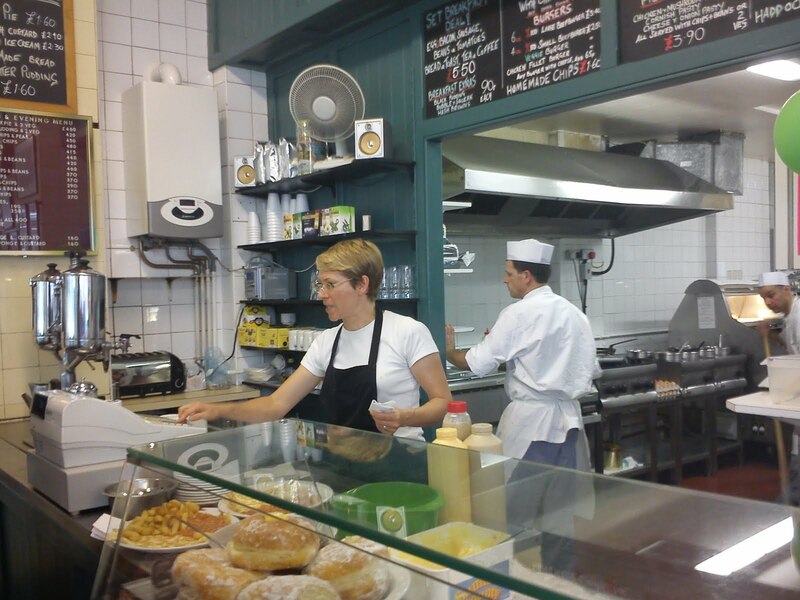 I usually go ‘vegetarian’ here as I’m not sure where the meat comes from, but I can’t resist the fish and chips on a Friday which are super-fresh, hefty and rather excellent – you can adorn them with a ladleful of special tartar sauce and lemon wedges from the counter. And on the days when the Very Loud Lady isn’t working? There is a man with an almost-as-deafening voice, belting out the orders. Not quite as impressive, but almost as terrifying. I wonder if they’re married? Maybe they just cancel each other out and become extremely quiet? ha! Hey guys. 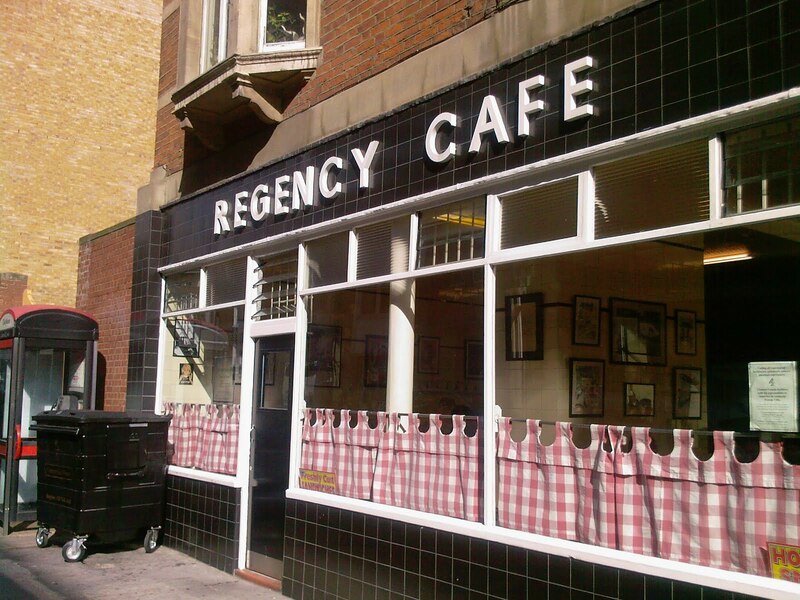 If you watch the superb new film 'Brighton Rock', you'll see many of the scenes filmed at this splendid cafe! lol this lady does have a very distinctive voice, we were taking aback at first when we realised where it was coming from! Apparently she did opera.